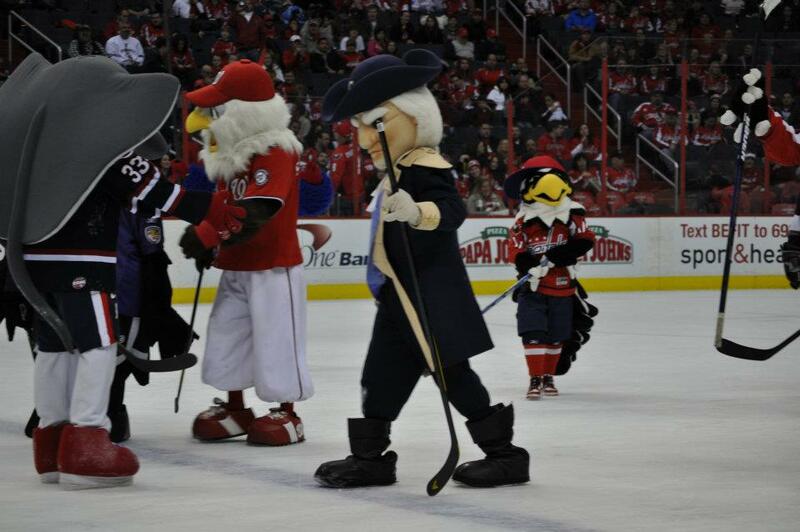 This past weekend I was invited by Slapshot and GWiz to come reek havoc on their respective fans. 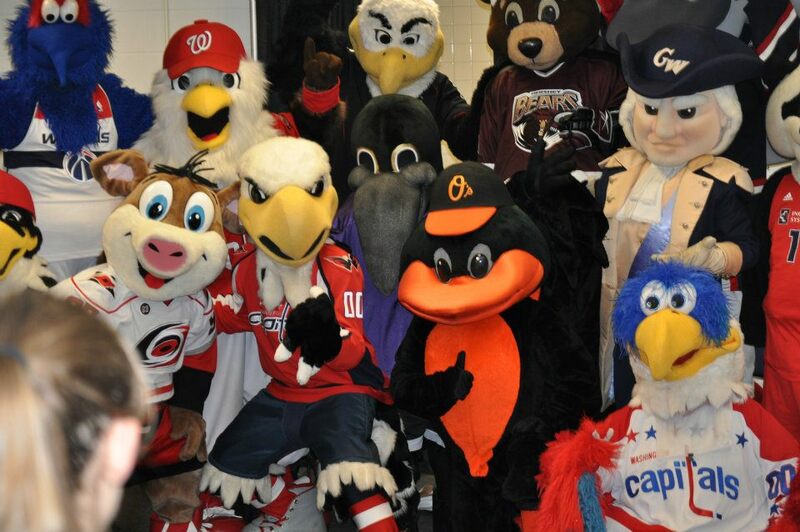 It was mascot night at the Capitals game on Sunday in which I helped toss t-shirts, got my dance on, and participated in mascot hockey during the second intermission. While I played fairly throughout the game, abiding to ALL hockey rules, I was disapointed to find that my opponent Winger did not. Halfway through the game, Winger decided to turn our goal around and face it against the wall. I was robbed on my breakaway, which was bound to be a goal!!!! Monday my “alter-eagle” Air Screech made an appearance at the Wizards game on Martin Luther King Day. Air Screech broke out some dance moves with Air GWiz and AirSlapshot to hits from Michael Jackson, Haddaway and of course Flo-Rida! It’s always a fun time to cross over sports and see how other teams in town are doing. While I’m a huge Capitals and Wizards fan and had a great time at both games, I can confirm that baseball is still the greatest sport in the world!